This has been a month of firsts for me. I was in Atlanta for the first time for a Pollyanna Conference at The Children’s School: My Authentic Self: The Intersection of Race and Gender in MS. I was struck by the welcoming feel in the city and at the school. It was their first conference and it was an incredibly powerful day. It was also the first time I heard the magnificent inaugural poet Richard Blanco speak. He was the keynote at Far Brook’s 3rd Pollyanna Conference: From Attending to Belonging – Re-Imagining Independent Schools for our Intersectional Communities. Richard shared his personal experiences of being from an immigrant family and gay, and how this impacted his life. Another first was attending the NAIS People of Color Conference in Nashville: Equitable Schools and Inclusive Communities – Harmony, Discord & the Notes in Between. As I write this, I am still in Nashville in the Hub with fellow sponsors and exhibitors who are busy sharing information with attendees. The buzz here is electric. It was great seeing old friends and making new connections. When I worked in independent schools, I never attended this conference as I didn’t want to take a spot that a colleague of color might want. The comment I heard most from colleagues upon their return was, “Being at PoCC has filled, strengthened and rejuvenated me to return to my school until PoCC next year.” I now understand why. To be among and learn from colleagues of color is empowering. As a white person dedicated to this work, it has been inspiring to be here. Over the course of a few days, there have been moving speeches, and many informative workshops offered by smart faculty and administrators. I am in awe of all this talent, commitment and compassion. Thank you for being part of this journey of firsts. Please consider supporting Pollyanna so that we can continue to grow and experience more firsts together. You recently joined the Pollyanna Board of Trustees as a junior trustee. What are you hoping your voice brings to meeting discussions and future planning? I think that I will bring a unique voice to the Board…the student one. 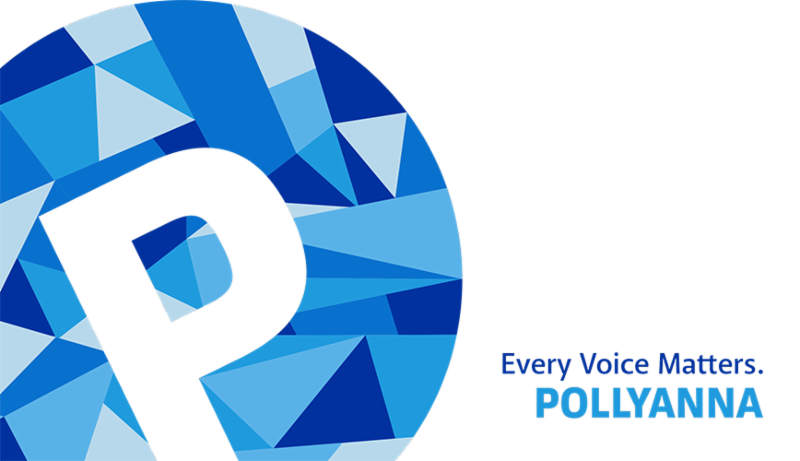 The Pollyanna conferences are in large part geared toward making a change for students. It’s one thing for administrators to discuss the issues, but as a student, I have seen the problems first hand. I’ve experienced the social interactions that happen when there are only students in the room. Students sometimes say one thing when a teacher is present, but something else when they’re not. I also bring the perspective of a different generation. This is important because each generation has its own unique mentality, ideas, etc., and these should be considered when designing events and classes geared for my generation. As part of the Allen-Stevenson POD as a student, can you describe the feelings you had when you met as a group to discuss action steps with administrators, alumni, diversity practitioners, faculty, parents, and trustees? I was in Seventh Grade when I joined the Allen-Stevenson POD. It gave me a real feeling of empowerment since all the voices are equal in the room on this occasion. I also realized that our conversation meant that things could really get done…that the discussion could be continued to help us get to be a better, more inclusive school. It occurred to me that I can help make a difference and be there from the start. Younger students are meant to be heard. However, there’s a fear amongst little kids that they can’t speak up to adults. The POD provides a forum for this discussion and all eyes are on the students in the POD. Everyone wants to hear what the students have to say, so I knew I could be honest, and that my voice would be respected. You also joined students on stage from several schools for the student presentation to all the schools in attendance. What was your message and what did you hope to achieve? Well…I actually had an idea. I explained that I thought students should have the ability to choose their school advisors. Everyone in our student group at the conference had an issue with the advisor they were assigned, so I realized it wasn’t just my school’s problem. A lot of advisors just didn’t seem to understand their advisees. Usually, a student is assigned an advisor. I have found that the advisors I usually get along best with are the ones who have similar interests or experiences to me. There is more equity in specifically choosing your advisor and you can build a stronger bond with someone with whom you can relate. Moreover, advisors can be better advocates for students they better understand. One idea is to have every teacher, staff member or administrator be an advisor to say, three students. The advisor could be from a completely different grade or not even be a teacher. That person is there as a mentor and someone a student can turn to for advice. I hoped that by putting this point out there that heads of schools would hear this and take it into consideration. See our home page for newsletter archives.